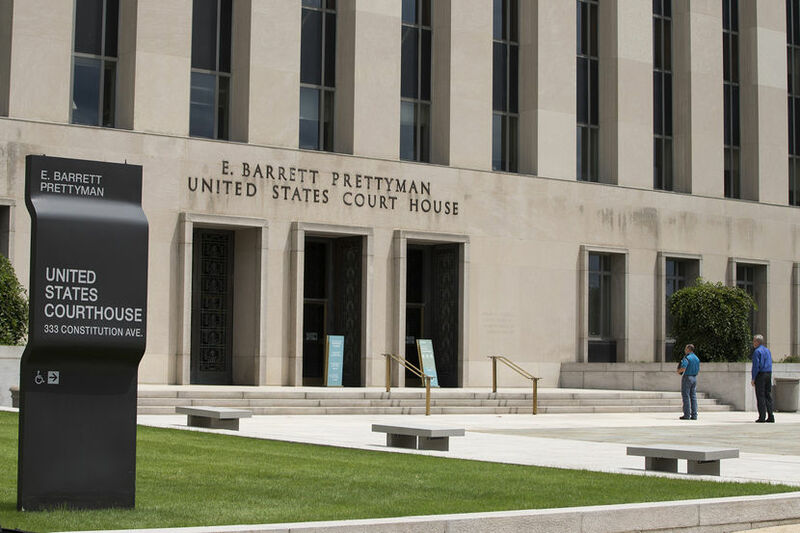 The US Court of Appeals for the DC Circuit agreed to yet another extension to the lawsuit brought by the Hearth Patio & Barbecue Association (HPBA) and the Pellet Fuel Institute (PFI) against portions of the EPA’s 2015 residential wood heater regulations. The Trump Administration has been re-opening rule making on many regulations, but some observers say it will likely be an uphill battle for the hearth industry because the EPA is already contending with many higher profile rules. In addition, even if the EPA were to agree to review parts of the NSPS, the rule would have to go through the notice and comment process that can take 1 to 3 years, at which point there could be a new President and a new head of the EPA. The EPA can revise regulations at any point, with or without a pending lawsuit. It can commit to a new rule making process on selected parts of the NSPS, but it cannot necessarily guarantee any particular outcome. In cases of voluntary remand, petitioners can also lose their right to appeal. If the case goes to court in 2018, the outcome partially depends on which panel of judges get appointed to the case and the result could be more unpredictable and potentially more favorable to the groups that intervened in the suit – the American Lung Association, the Clean Air Council and Environment and Human Health. If the case goes to court, the best outcome for HPBA would likely be a settlement agreement that puts part of the NSPS on hold until another rule making is complete. HPBA and PFI now have until August 25 to file their brief laying out their grievances with the new regulations. HPBA is not challenging the requirement that when tested with cribwood, wood stoves must emit no more than 2 grams an hour as of 2020. This means that all stove manufacturers remain under this deadline to retest their stoves to achieve 2 grams an hour or less under the revised test method. All stoves that tested at 2 or under prior to May 15, 2015 still have to retest to be compliant with the 2020 limits. HPBA is challenging the requirement that if a stove is voluntarily tested with cordwood, it must achieve 2.5 grams per hour or less. HPBA asserts that since there is not yet an approved test method, it was premature for the EPA to set an emission limit. HPBA is also challenging emission limits for wood and pellet boilers and furnaces. On May 15, 2017, EPA regulations took effect that required all wood furnaces to include smoke reduction technologies and be certified by third party test labs. 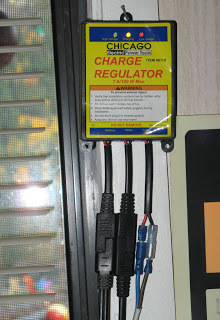 Some furnace manufacturers started educating their retailers early and stopped shipping uncertified furnaces during the winter. Others continued to ship units, and many retailers continued to advertise and sell uncertified furnaces after the law changed on May 15. Indoor wood and coal furnaces—also called warm, hot air, or forced air furnaces—were very popular in the US through the early to mid-1900s, then gradually their lost market share as fossil liquid fuel furnaces gained traction in the late 1900s. Then, outdoor wood boilers gained favor, becoming a far worse threat to local air quality than indoor furnaces and boilers had been for decades. The Alliance began contacting retailers advertising uncertified furnaces to find out whether they knew about the change in regulations and how responsive they would be to information about the change. “We believe that all manufacturers and retailers should play by the same rules, so that the ones who do follow the rules don’t get undercut by ones who do not,” said John Ackerly, President of the Alliance for Green Heat. “And, we found that many if not most retailers will stop advertising products that are not legal to sell if they are politely and professionally approached by an organization that is knowledgeable about the rules,” Ackerly said. AGH efforts were not always effective, and a few retailers still appear to be advertising uncertified wood furnaces (see screenshots below). 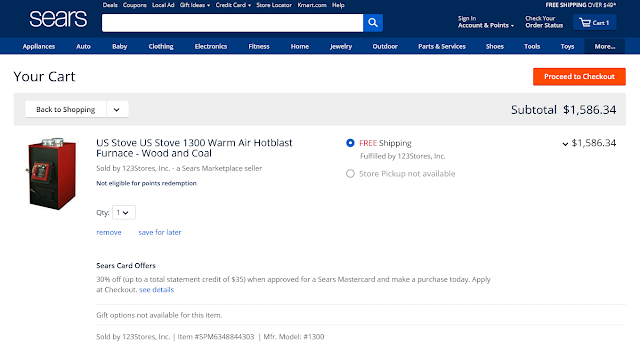 These include Sears’ online marketplace (orders fulfilled by the third party 123Stoves, Inc.), Homeclick, and HVAC direct. All screenshots were taken on June 22, 2017. 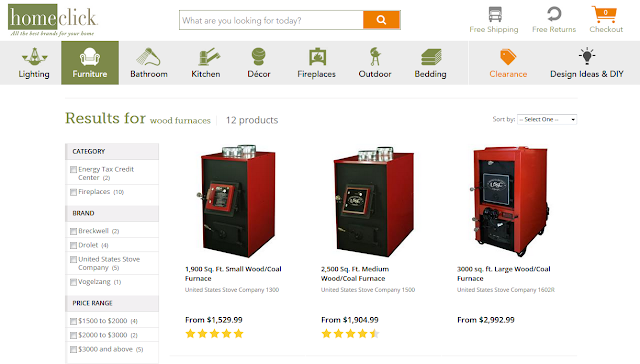 Houzz.com, Wayfair, and HVAC direct continue to sell uncertified wood furnaces or ones that are labeled wood/coal. The units they are selling are all made by US Stove Company, whose business model leaves it vulnerable to illegal sales of its units by multiple retailers. AGH regularly monitors advertising by manufacturers and retailers in order to better educate consumers about misleading claims. We also publicize the names of manufacturers who provide better information and do not mislead consumers. This continued advertising and sale of products that are no longer compliant highlights the danger that stranded inventory can pose for retailers when deadlines pass. If the 2020 emission rules are not delayed or changed, some wood stove retailers may get stuck with inventory that they are no longer allowed to sell, but are under pressure to unload to recoup their investment. Without regulation, wood furnaces often sold for $1,000 - $2,000, less than many certified wood stoves. Even after the 2017 rules took effect, certified wood furnaces remain affordable with most selling for $2,100 to $3,200. Ten models are now certified, ranging from a more expensive European-designed pellet furnace at 89% efficiency to a very basic US Stove model 1330E that is 33% efficient. 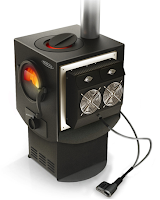 However, the future of this class of wood heaters is far from secure, as EPA rules require wood furnaces to emit no more than 0.15 lbs/mmBtu as of 2020. Other than the European-designed pellet furnace, the other certified furnaces are not at all close to meeting that standard. Wood furnaces saw extremely little technological development until they were required to be certified between 2005 and 2017, and the sector is far behind the levels of controls that have been built into stoves and boilers. Some of you may be wondering about thermoelectric wood stoves and why we decided to include them in the 2018 Wood Stove DesignChallenge, which will be held in November 2018 on the Washington Mall. Our goal of this competition is to support development and commercialization of a revolutionary thermoelectric wood stove that produces electricity equal to 50 percent or more of the winter time output of a residential solar photovoltaic system. 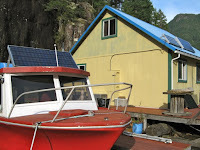 By combining a thermoelectric wood stove and a residential solar PV system and home battery, like the TESLA Powerwall, we can support residential and grid-based distributive power goals, and incentivize greater investment in solar power. Specifically, thermoelectric wood stoves can help solve the problem of low winter time solar PV output in northern climates, where useful solar radiation is limited to 2 - 4 hours per day. 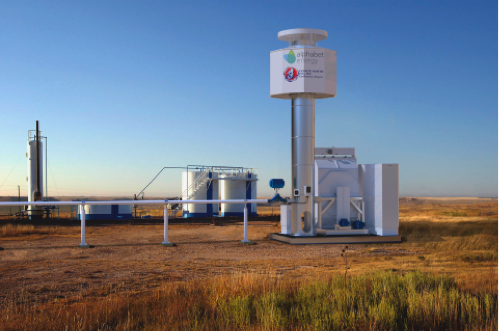 While a thermoelectric wood stove may sound revolutionary, the technology behind the stove has been used since the 1980s in oil and gas field operations, where methane gas provides a low-cost source of heat to power the thermoelectric generator. Wood stoves, like waste methane gas, can provide a free source of heat for the thermoelectric generator. Thermoelectric generators are like solar panels, however, instead of turning light into electricity they turn heat into electricity. To generate electricity, one side of a thermoelectric module is heated by the wood stove while the other side is cooled with either an air or water-cooled heat sink. For applications above 100-watts, water-cooled heat sinks are the most common approach because of their ability to extract greater amounts of heat from the thermoelectric module. 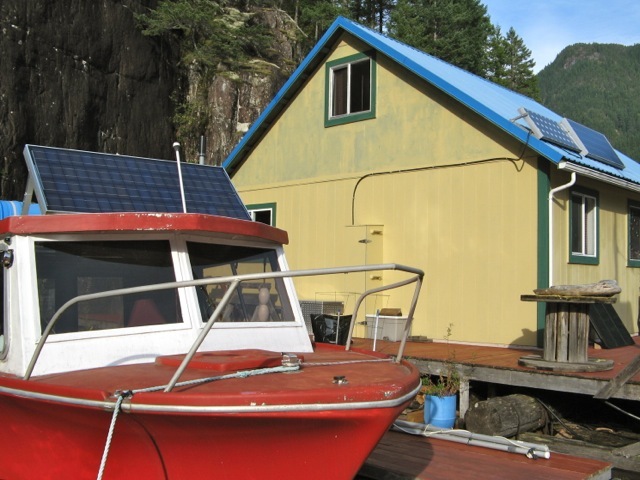 In northern climates like New England, Canada and northern Europe, low winter time solar radiation increases the cost and reduces the efficiency of solar PV systems, and the cost-effectiveness of battery storage systems like the Tesla Powerwall. According to NREL, solar radiation in northern areas like Vermont peaks at 6.0kWh/m2 in June and declines to 1.7kWh/m2 in December. This means that an average 4,000-watt residential solar system will go from producing 571kWh in June to 191kWh in December--a 66% reduction is solar power output. 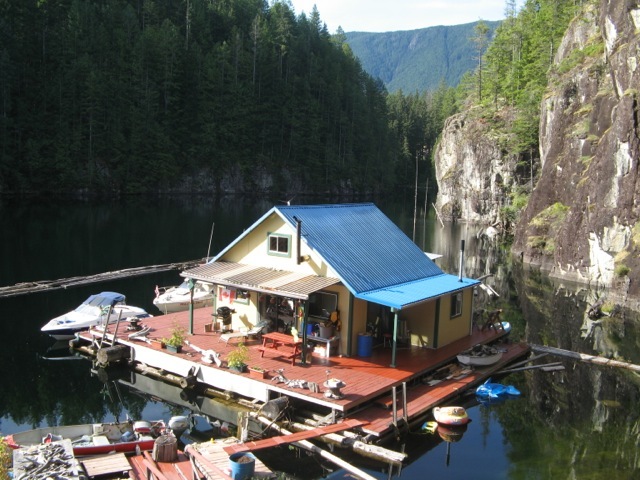 This project will demonstrate how a thermoelectric wood stove can cost-effectively supplement a solar PV system. Building on our experience from 3 previous Design Challenges, we will work with wood stove manufacturers, universities and others to build and test 100 to 200-watt thermoelectric wood stoves that could effectively increase by 50% the winter time output of a 4,000-watt residential solar PV system. 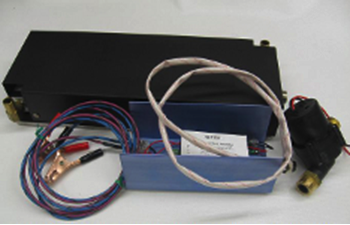 Thermoelectric generators are currently sold as accessories for wood stoves; however, these accessories are limited in size and efficiency. 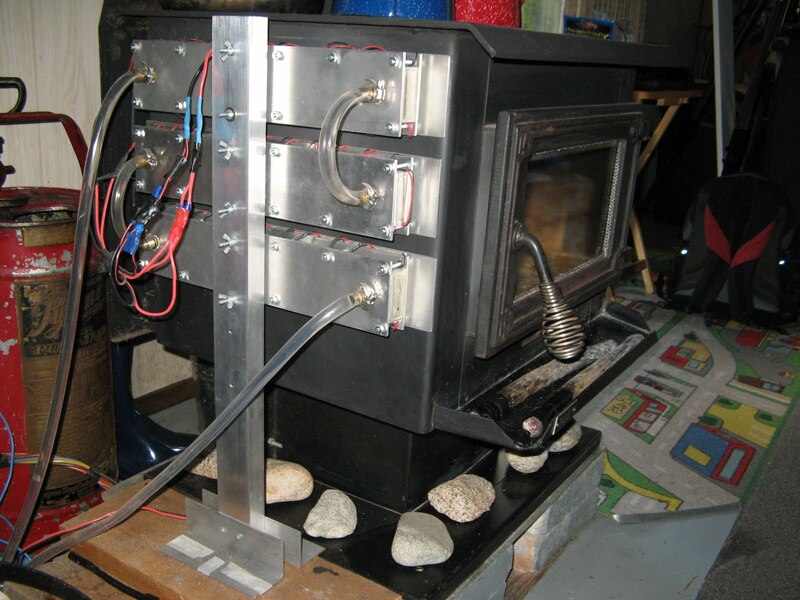 By integrating a thermoelectric generator into a wood stove we can achieve far greater power output, efficiency, and lower cost. For example, a wood stove with a 150 to 200-watt thermoelectric generator operating 20 hours per day could generate 93 to 124kWh of electricity per month, which compares favorably with the December solar PV output of 191kWh in Vermont. There are several reasons why now is the time to consider thermoelectric wood stoves. First, the price of the thermoelectric modules, which are a component of the TEG, has dropped substantially because they are now being mass produced in China. Second, the EPA’s recent wood stove NSPS regulation is helping to make new wood stoves cleaner and more efficient and, coupled with cordwood testing and automated features, a new generation of cleaner stoves could also generate electricity. Third, thermoelectric wood stoves can produce electricity up to 24 hours per day eliminating load management concerns common with solar and wind power. Lastly, the stoves are powered by local wood supplies, making their fuel low carbon and locally sourced. The 2018 competition on the Mall will demonstrate the role thermoelectric wood stoves can play in promoting solar power, energy storage systems and biomass energy, while also reducing energy costs, supporting climate change goals, and increasing distributive power. The cost of a thermoelectric module has fallen below $2 per watt (uninstalled), compared with $3.50 per watt for solar panels (installed). This paper was prepared for the Warsaw Stove Summit which brought AGH and scores of experts in coal and wood heating from 19 countries to Poland in May 2017. The US Census Bureau estimates that approximately 127,000 households used coal as a primary heating fuel in 2015, or about 0.1% of American homes. Residential coal heating dropped rapidly until 2000 and since then has been relatively stable. More than half of homes using coal heat are concentrated in Pennsylvania and New York, right where it is mined. It appears to be based on cultural traditions and local support for local jobs because its still a very inexpensive way to heat and easy to transport. Most of the United States has no restrictions on coal heating and there have been few attempts to restrict it. Rather, it seems to have gradually died out except in pockets of states where anthracite is mined. Bituminous and sub-bituminous coal is much more widely dispersed but it is used far less than anthracite. Coal stoves, particularly those fueled with anthracite coal that principally comes form Pennsylvania, typically have less particular matter than wood or possibly even pellet stoves. However, their health impacts may be far worse, as coal often emits high levels of SO2 and oxides from nitrogen. In addition, coal often has poisonous toxins such as flourine, arsenic, selenium, mercury and lead. For more on health impacts of coal and wood heating in the US and Europe, we excerpted key parts of a World Health Organization report here. Who heats with coal and why? Homes that heat with coal tend to be concentrated near anthracite coal mines and in homes with lower or mid level incomes. In the wealthier and more urban counties of Pennsylvania that are within 100 miles of anthracite mines, virtually no households heat with coal. 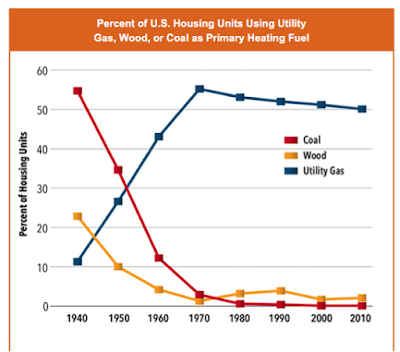 High use of coal heat does not correlate with high use of wood heat. Both coal and wood are favored by rural, lower-income populations but coal appears to be favored near anthracite mines, and wood is favored in nearby, rural counties, according to data from the US census. 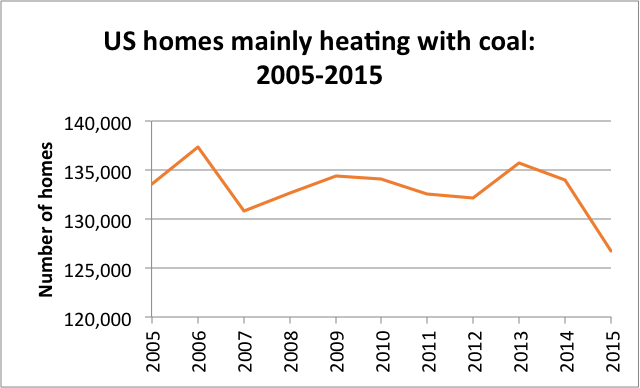 The highest percentage of homes heating with coal at the county level is about 13%. A prominent 2008 New York Times article reported that residential coal heating was on the rise, but rise was modest, and petered out a few years later. 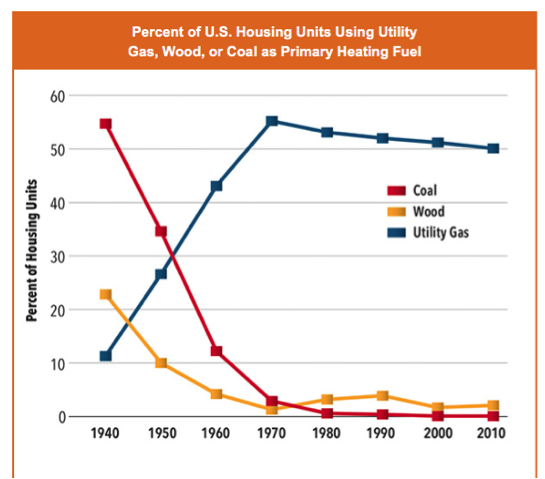 That rise corresponded with a major recession from 2007 – 2009 during which rates of wood heat soared far higher than coal. The New York Times also reported that an additional 80,000 homes use coal as a secondary heat source and the US Census reported 104,000 used it as a secondary heat source in 2005. Only 4,000 homes use it to cook with and 22,000 used it to heat domestic hot water in 2005, according to the US Census. 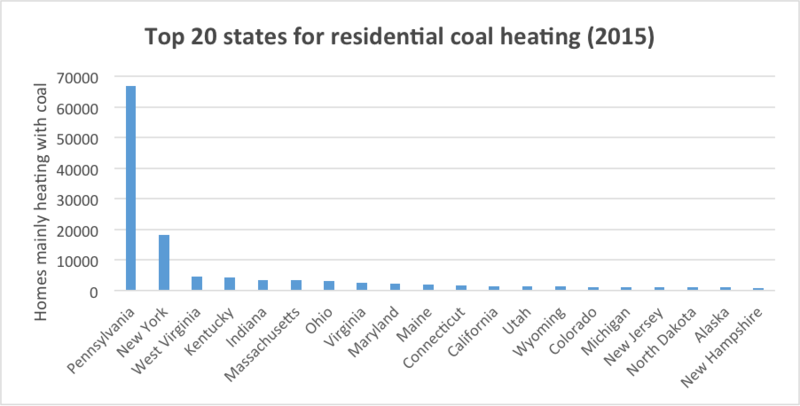 In 2015, the top five states for residential coal heating were Pennsylvania, New York, West Virginia, Kentucky, and Indiana. Over 50% of US homes that heat primarily with coal are located in Pennsylvania, where anthracite coal is mined. The primary benefits of heating with coal, compared to wood, is 1. it burns for longer periods of time, so less reloading is needed and a home can easily stay warm overnight; 2. Like pellets, it can be delivered in bags on pallets by a forklift, and does not need the time consuming splitting, stacking and seasoning that cordwood needs; 3. It is even more inexpensive per BTU (assuming you don’t cut the wood yourself); and 4. 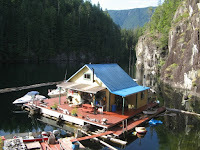 It is a very dense fuel, and takes up half the space that the same amount of wood takes, per BTU. The downside of heating with coal is 1. The odor, which most people find moderately unpleasant; 2. 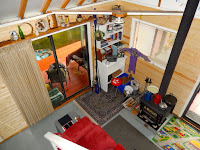 The black dust which is harder to clean than dirt and wood pieces from cordwood; and 3. Its hard to light, requiring most people to start the fire with wood, before switching to coal. While the above pros and cons are widely agreed upon, other less tangible factors play a role. Coal has increasingly gained a stigma as a dirty, non-renewable fuel, whereas wood is regarded as far more environmentally friendly (even though particulate matter from wood can be equally high). On the other hand, the dwindling economic prospects of coal towns and counties tends to make those populations want to support the fuel to combat what they often see as an unfair bias against coal. Coal stoves are either stokers or batch. 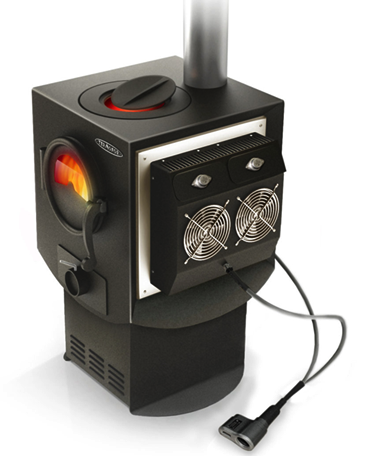 Stokers automatically feed coal pellets (much like pellet stoves) into the stove, require electricity and only use anthracite. Batch stoves are loaded by hand and can take anthracite or bituminous. Most coal used for heating in the US is anthracite but anecdotal estimates by experts say that no more than 25% is bituminous, primarily in areas where its abundant. 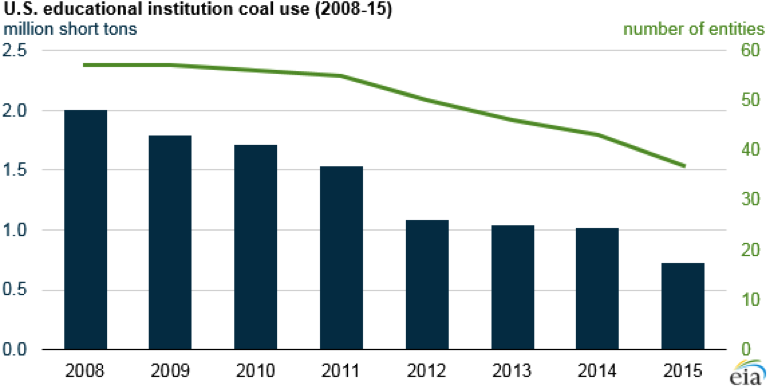 The EIA stopped collecting data on residential coal consumption in 2008. In 2007, the EIA reported that US residents consumed 353,000 short tons (320,171 metric tons) of coal, which represented only 0.03% of the nation’s annual coal use (1.1 billion short tons or around 1 billion metric tons). 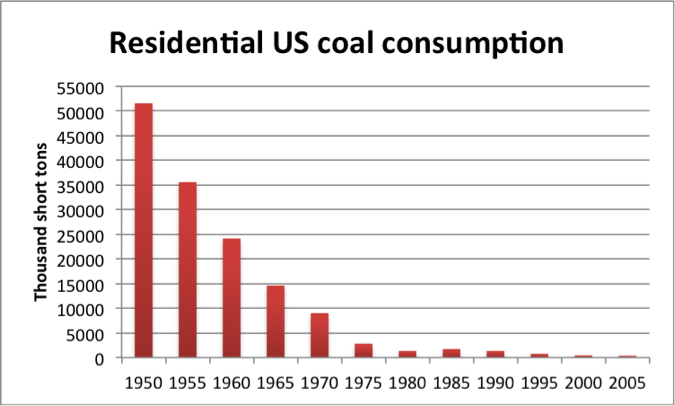 The overwhelming majority of course (93%) of US coal is used to generate electricity. Usually coal is sold in 40 or 50 pound bags or by the ton. Coal may be sold directly to consumers from the mine, a fuel supplier, or a hardware store. Blaschak is one of the largest suppliers of bagged anthracite coal and sold 374,000 tons in 2014. Forty pound bags of anthracite coal (any size) from Pennsylvania usually run $6-$8. A ton of anthracite typically costs between $190 and $210 per ton, before delivery charges (which can increase price to $250-$300). One fuel seller, Central Maine Coal, sells about 200 short tons (181 metric tons) of residential coal per heating season. Bituminous coal is usually considered a better coal for blacksmithing than heating, but can be burned in some coal stoves and is often only $80-$100 per ton. Institutional heating with coal is somewhat relevant to residential coal heating and data indicates that institutional coal heating is declining much more rapidly that residential heating. 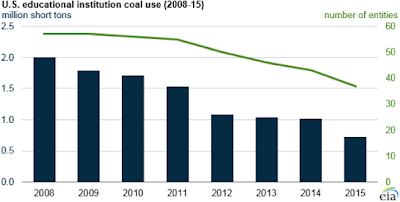 According to the EIA, US educational institutions consumed 700,000 short tons (634,900 metric tons) of coal in 2015, down from 2 million short tons (1.8 metric tons) in 2008. Twenty of the 57 US educational institutions that used coal in 2008 reported not using it 2015 due to sustainability initiatives. It is likely that most of the coal consumed at educational institutions is used to generate heat. Most US schools no longer heat with coal. Recent (2015-2016) news articles report that only five public schools heat with coal in West Virginia and four schools heat with coal in Cumberland, Maryland. One of the Maryland schools uses 517 tons of coal annually at a cost of $120 per ton. Most coal stoves are made in Pennsylvania except for one big producer, Hitzer stoves located in eastern Indiana. Sales of coal stoves are reported to average 4,000 to 7,000 a year, but in 2008 they may have topped 10,000. In comparison, about 140,000 wood stoves are sold each year. There are about a dozen companies making coal stoves and one notable trend is that the larger wood stove companies are getting out of the coal stove business. Vermont Castings, Harman and Moreso used to sell coal stoves and now don’t. The one company that still focuses on both fuels is US Stove Company, based in Tennessee. 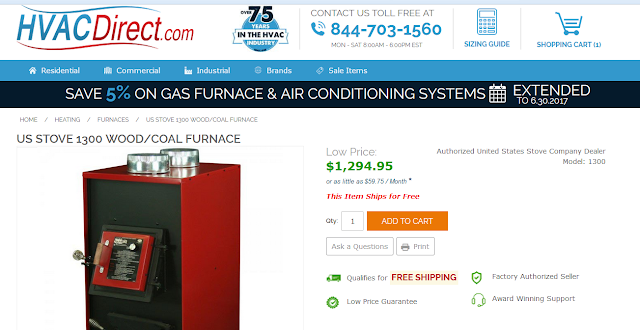 Coal stoves cost about the same as wood stoves and range between $2,000 - $3,500. Coal stoves remain exempt from EPA emission regulations. Coal stoves have never had a certification program at the EPA or at any state level, although the federal government and some states have indicated an interest in developing emission regulations. Regulation would likely drive up the cost of coal stoves and may reduce sales of coal stoves but other strategies may reduce their use faster and more economically. But without emission regulations, there is little data on coal stove emissions from various types of coal stoves, and there is little incentive for stove companies to try to produce cleaner stoves. Tests conducted in the 1980s suggested that wood stoves emitted higher levels of particulate matter than anthracite stoves, but lower levels than bituminous stoves (Houck, 2009). Of course, wood emits fewer other toxic chemicals than coal. One significant policy change in 2015 was the ban on advertising dual coal/wood use in stoves unless the stove was certified with wood, and the company also tested for coal emissions and provided that data to the EPA. To our knowledge, no company has done this so no stove should advertise the ability to burn wood and coal any more. The EPA is currently funding research on coal emissions and has developed an unofficial, draft test method at Robert Ferguson’s lab. However, this is being undertaken only because of an EPA program to change out coal stoves on the Navajo Indian reservation, not because it has any apparent mandate or serious plan to start regulating coal stoves. It is unlikely under the Trump administration that any certification program would be initiated by the EPA, and the only state with enough coal stoves to justify the effort would be Pennsylvania, which is unlikely to do so. Unlike the United Kingdom, there has never been any national effort in the US to reduce reliance on coal stoves. Krakow, a major Polish city is banning coal stoves in 2019, after a multi-year effort to provide subsidies for alternative heating sources. Two states – Washington and Oregon – effectively ban them because they only allow stoves that meet specific emission requirements, but those states would have very little coal heating anyway. Many air districts that have poor air quality and high particulate matter levels employ temporary burn bans apply to coal stoves and well as wood stoves. A few jurisdictions, such as Fairbanks, Alaska, offer homeowners financial incentives to recycle their solid fuel burning appliance (including coal stoves) or replace it with a less polluting appliance (coal stoves are not eligible). However, most change out programs only remove old wood stoves and do not allow coal stoves to be replaced with wood stoves. A Pennsylvania county offered $200 to trade in old wood or coal stoves, but that program has been suspended. Oregon is the only state where it is illegal to sell a coal stove, or any other uncertified solid fuel burning appliance. Oregon also requires uncertified solid fuel burning appliances, including coal stoves, to be removed and destroyed when a home is sold. According to the latest (2015) Census data, only 143 homes rely on coal for primary heat in Oregon. 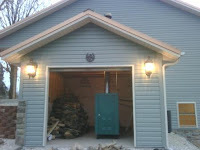 At the local level, there may be a number of cities or counties that do not allow coal stoves, but the only one we could find is Summit County, Colorado that forbids the installation of a coal stove (uncertified solid fuel burning device) in a new home or as a replacement unit for an existing non-certified stove. Dr. James Houck, “Let’s Not Forget Coal,” Hearth & Home Magazine, December 2009, pp. World Health Organization, “Residential heating with wood and coal: Health impacts and policy options in Europe and North America,” 2015.